If you can hold off – HERE IS HOW YOU CAN HELP. On Tuesday I am going to offer the print edition of #TheWalk at $14.99 ON AMAZON ONLY instead of the retail price of $16.99. The goal is to sell 500+ copies in 48 hours. BUY YOUR BOOK ON TUESDAY ON AMAZON!!! WHY? One of the reasons I am excited about #TheWalk is not only is the book full of wisdom for life, but it is full of Scripture and the gospel. Sadly, many Christian books published today have a lot of great information in them, but they do not have a clear invitation for a person to be saved. 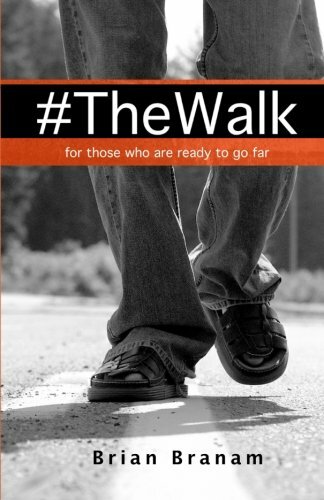 #TheWalk contains a clear, simple call for a person to respond to Christ in repentance and faith. By concentrating sales of the book on a certain day, the book will pop up on Amazon and other sites as recommended reading for customers purchasing books in similar categories. Yes, it will pop up in Christian living, but I am hoping it will also search in “management” and “family” categories.